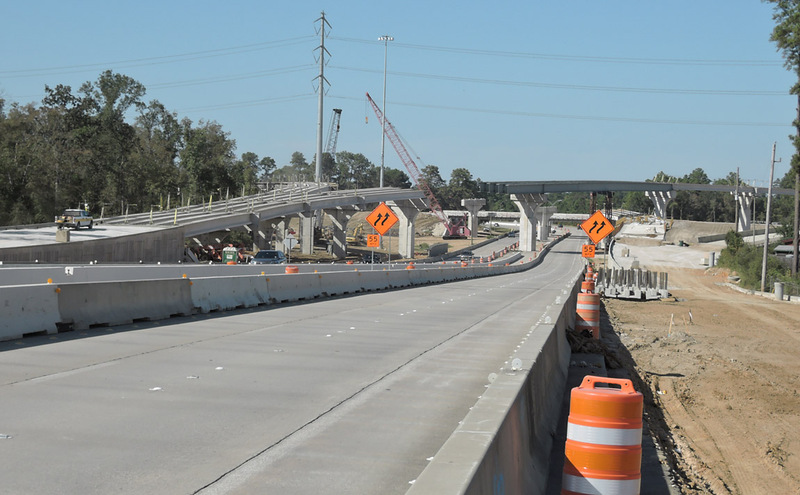 Grand Parkway sections F and G, between US 290 and US 59 (I-69) north around the north side of Houston, are currently under construction as a toll road. 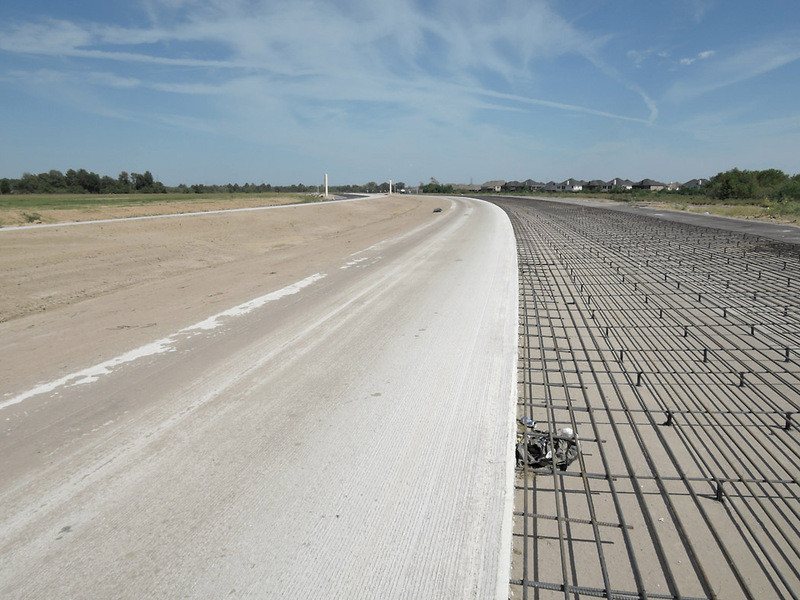 The segment between US 290 and SH 249 is nearing completion and could potentially open in a few months. 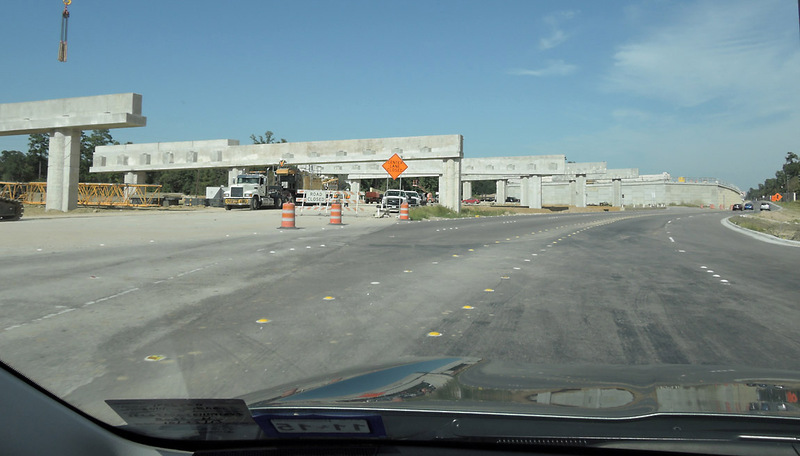 From SH 249 eastward, there is more work to be done and I'm thinking it will open in spring and/or summer 2016. I am disappointed to see that the highway is built with a narrow median. This is less visually pleasing (a landscaped median like a true parkway would have been nice), but it also limits opportunities for future expansion. 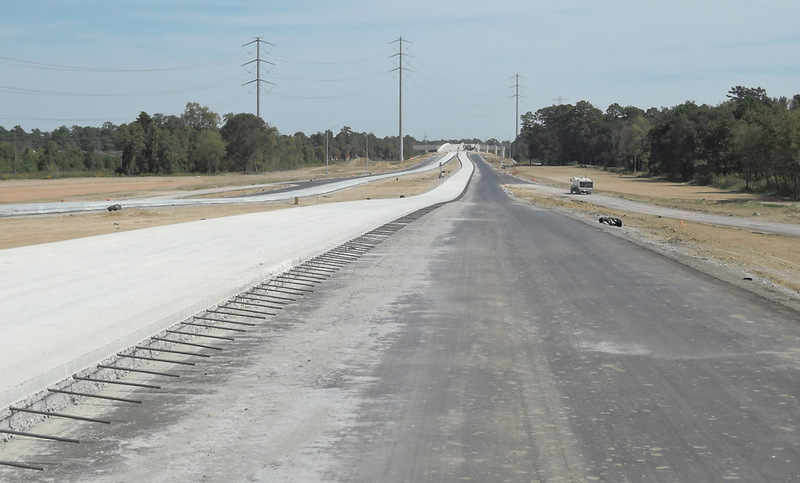 The roadway is designed to be easily expanded to six lanes (three each way) by paving the median, but widening beyond six lanes will be difficult and costly. 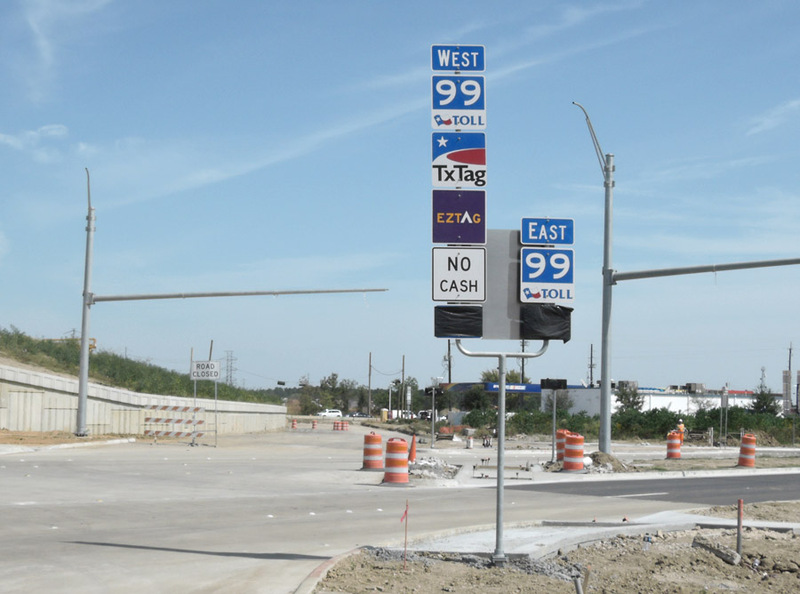 Except for the first photo showing the signs, these photos start at US 290 and proceed clockwise (eastbound) to the east side of I-45. 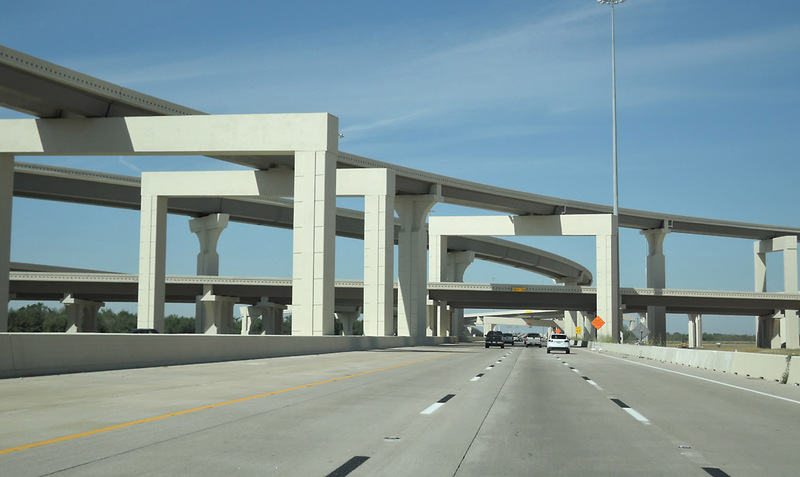 (October 17, 2015) The Grand Parkway interchange along US 290, driving west on US 290. The interchange looks like it is complete. 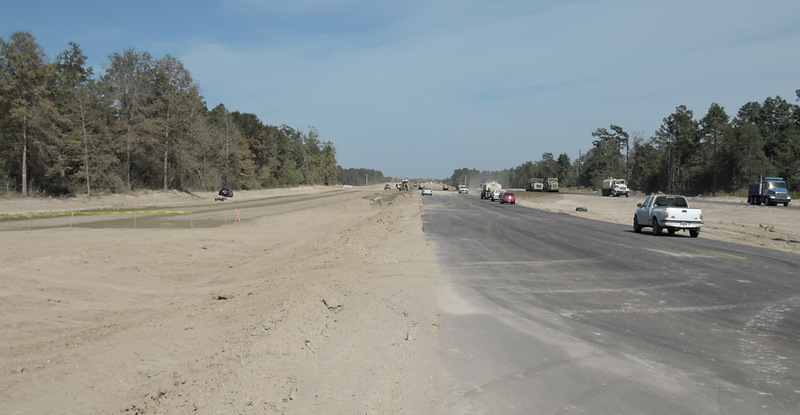 The Grand Parkway to the left (south) opened in December 2013 in a separate project. 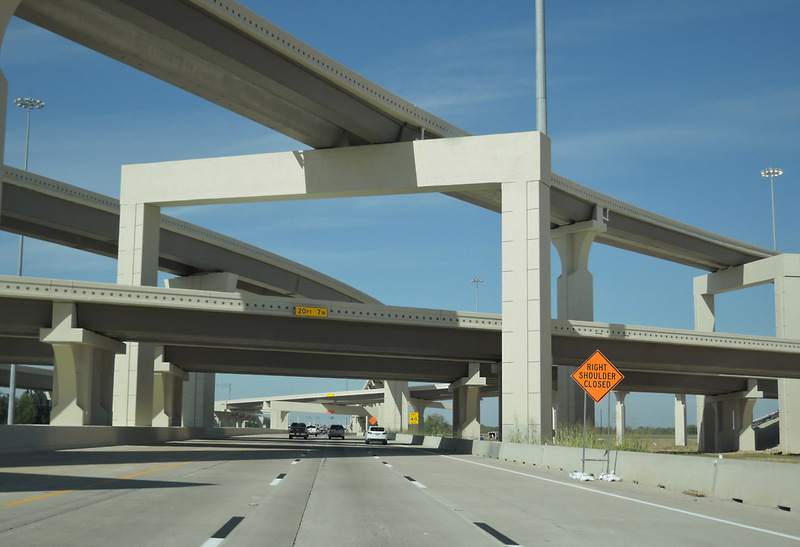 (October 17, 2015) Driving westbound on US 290. 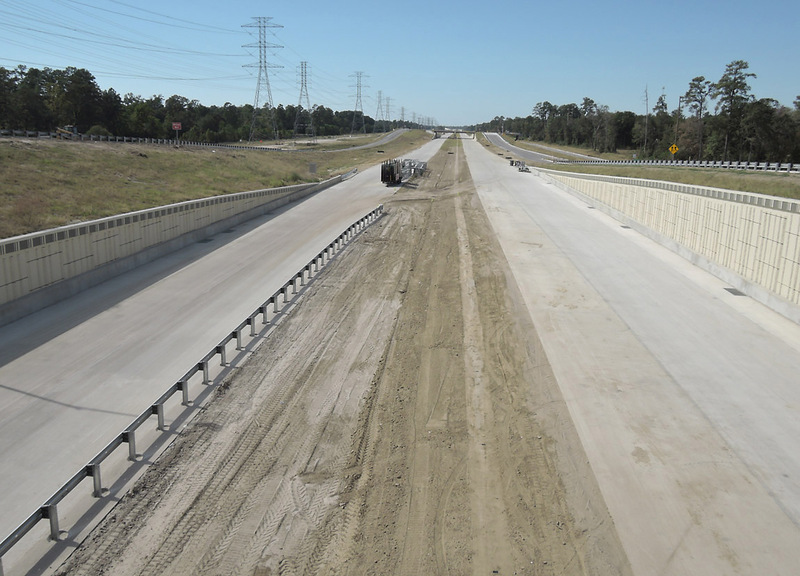 (October 17, 2015) Looking west on the Grand Parkway from the Hufsmith-Kohrville Road overpass. 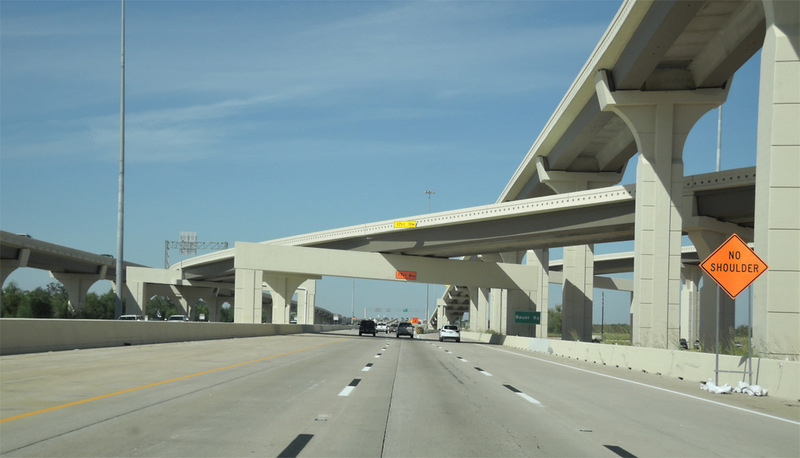 The overpass over SH 249 is in the distance. (October 17, 2015) Looking east near Sharon Parkway. A radar for Hooks Airport is in the distance. 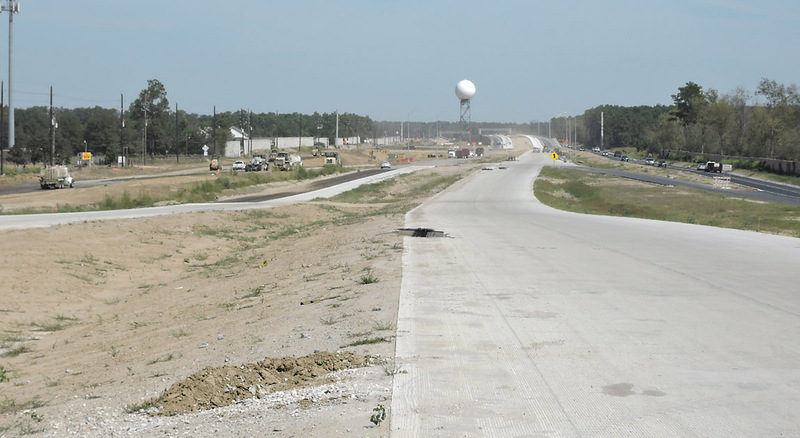 (October 17, 2015) Looking east near the Sharon Parkway overpass. Here we can see that the median is very narrow and will accommodate only two more lanes when expansion is needed in the future. 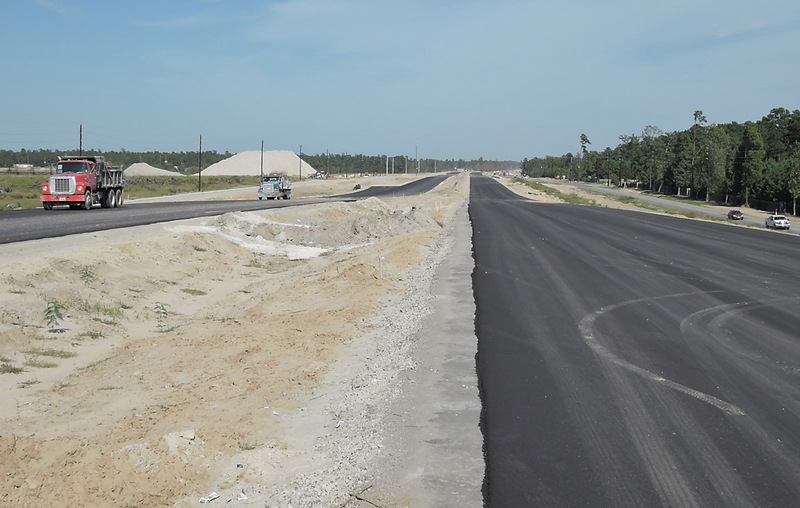 (October 17, 2015) Looking east at the intersection with FM 2920 on the north end of Hooks airport. 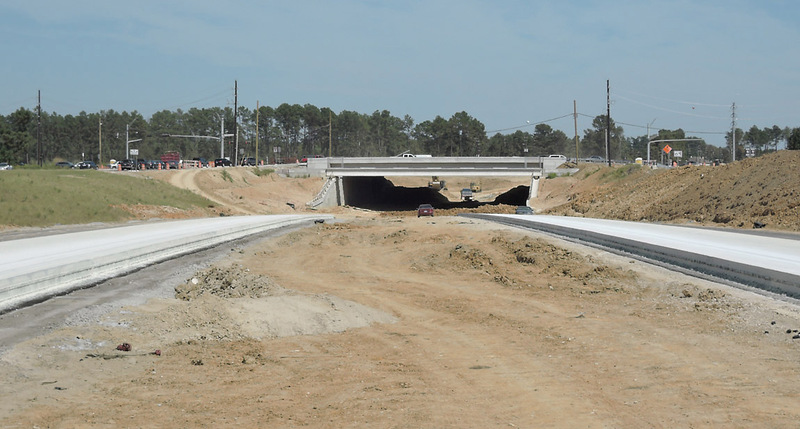 The underpass is quite narrow and won't accomodate more than six main lanes when expansion is needed in the future. 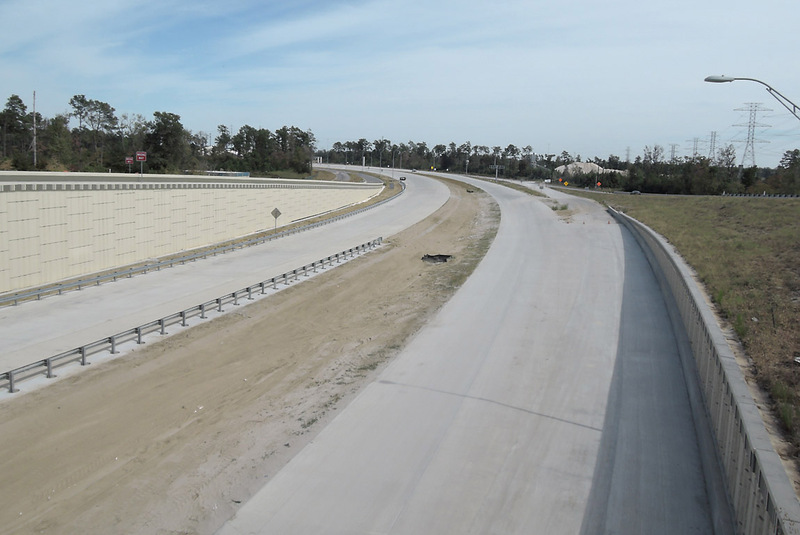 (October 17, 2015) Looking east from the FM 2920 overpass. 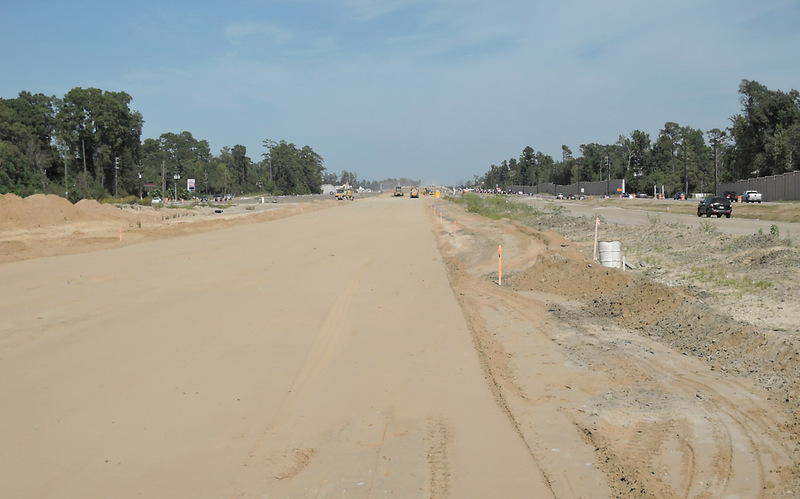 (October 17, 2015) On Holzwarth Road at the Grand Parkway. 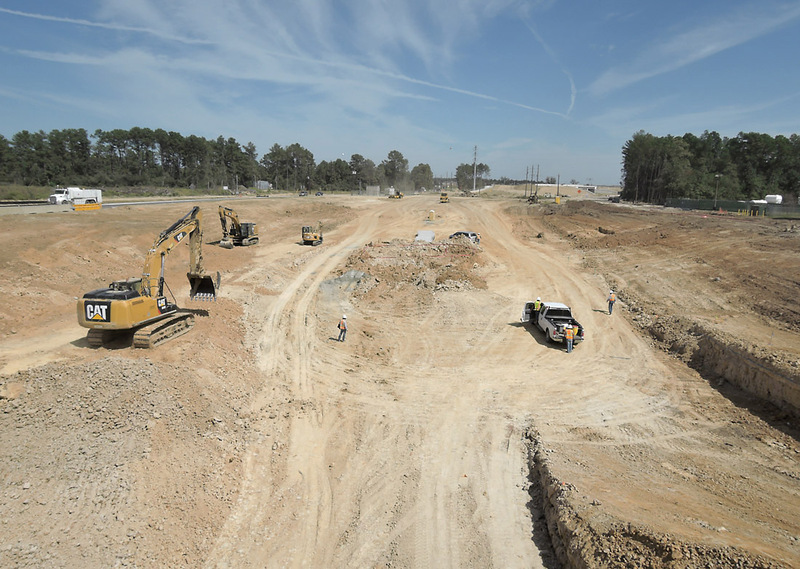 The huge new ExxonMobil campus is in the development just ahead. (October 17, 2015) Looking east from Holzwarth Road. Interstate 45 is just ahead. 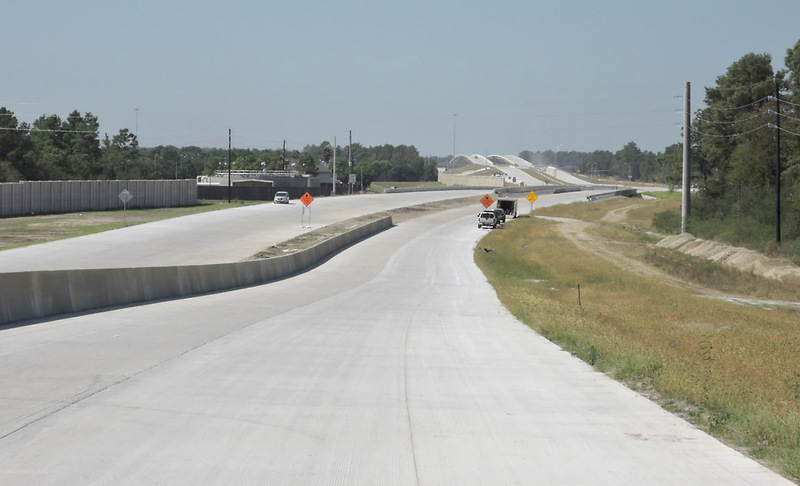 (October 17, 2015) Looking north along the Hardy Toll Road with the Grand Parkway interchange ahead. 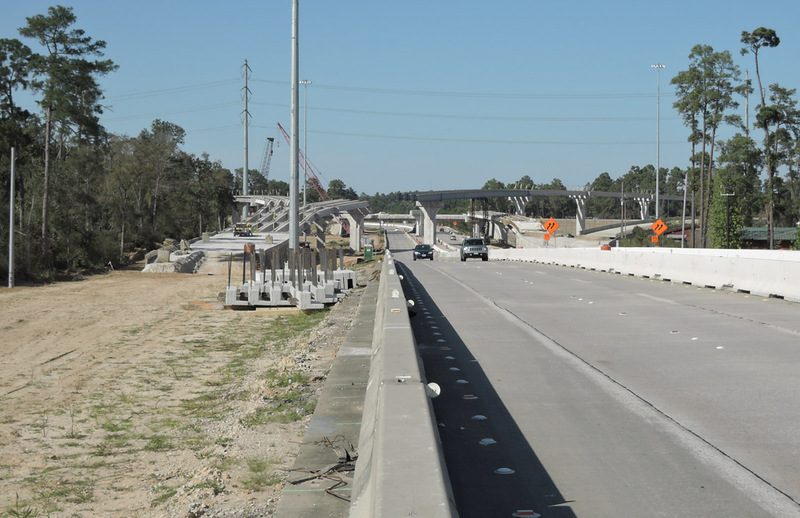 (October 17, 2015) Driving eastbound on Riley Fuzzel Road where the Grand Parkway merges into the Riley Fuzzel alignment. 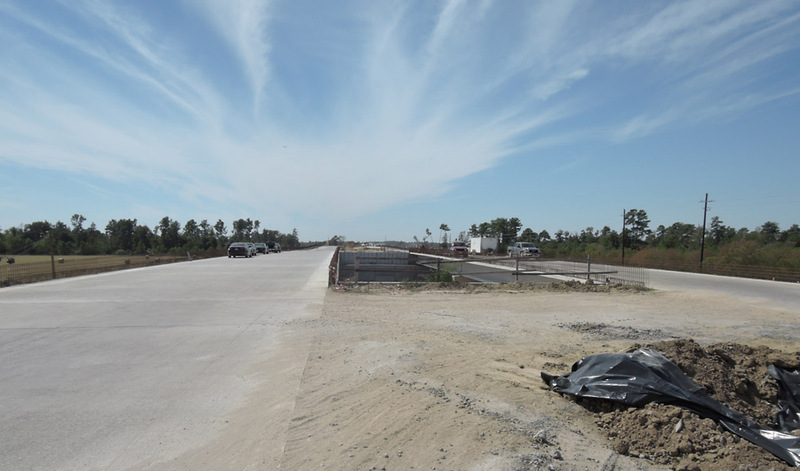 (October 17, 2015) This photo looks east along the westbound main lanes. The base is still being prepared, so there's a lot of work to be done to finish this area. (October 17, 2015) Looking eastbound at Birnham Woods road.